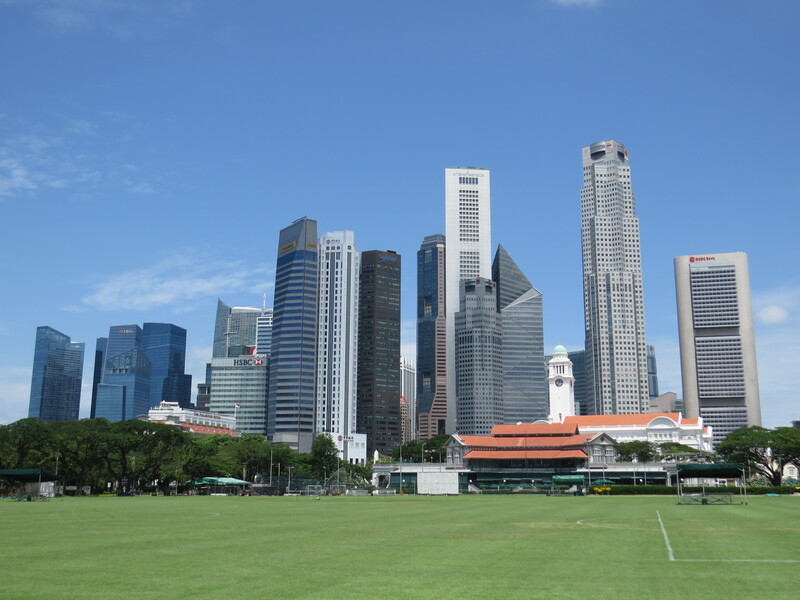 While the city-state is basking in the spotlight as the location of the Crazy Rich Asians movie, I thought it was timely to showcase Singapore here as well. Modern, attractive, orderly, the city is without doubt Southeast Asia’s most prosperous metropolis and one of Asia’s as well. The only drawback is that it possesses those attributes in such great quantities that it overshadows any gritty or distinctive character and lacks a certain kind of charm that say, Hanoi or Bangkok have. 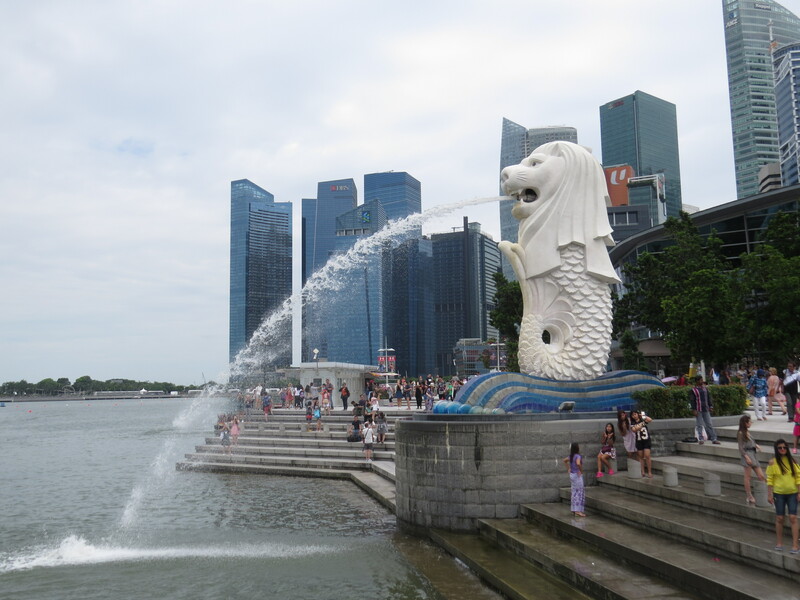 Nevertheless, Singapore has several interesting places of attractions and attractive landmarks. The Gardens by the Bay was very interesting, with a massive domed plant conservatory and an indoor waterfall, as well as its “Supertrees.” As the entry fees were not exactly cheap (foreigners are charged much more than locals, which is surprising since Singapore is one of the world’s richest countries), I chose to forego walking on top of the Supertrees. 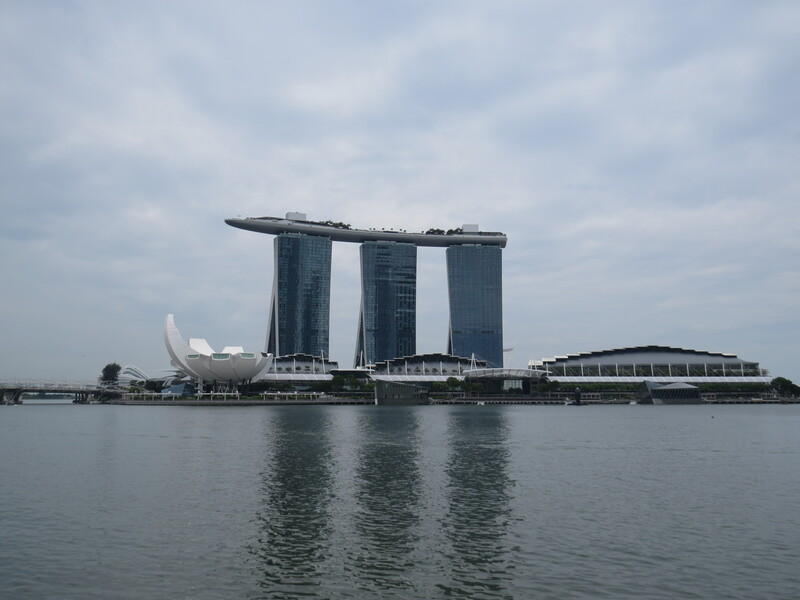 Nearby are the unique Marina Bay Sands hotel which features a long upper deck that lies atop three towers, and the iconic Merlion, Singapore’s lion-headed fish statue that is also the city’s symbol. 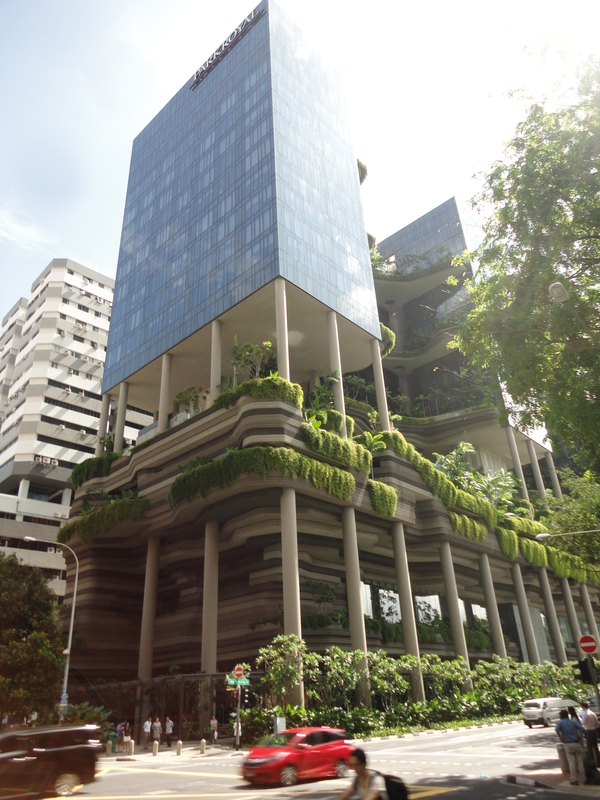 Its downtown boasts some decent skyscrapers, lots of open space, museums like the Asian Civilizations Museum, as well as colonial architecture like St Andrew’s Cathedral and the National Gallery Singapore, housed in a magnificent gray colonial building that overlooks the Padang, a large playing field which also houses the Singapore Cricket Club. The Asian Civilizations Museum features artifacts from India, China, Korea, Southeast Asia, and Pakistan, which is a great idea but the collection was not that big. 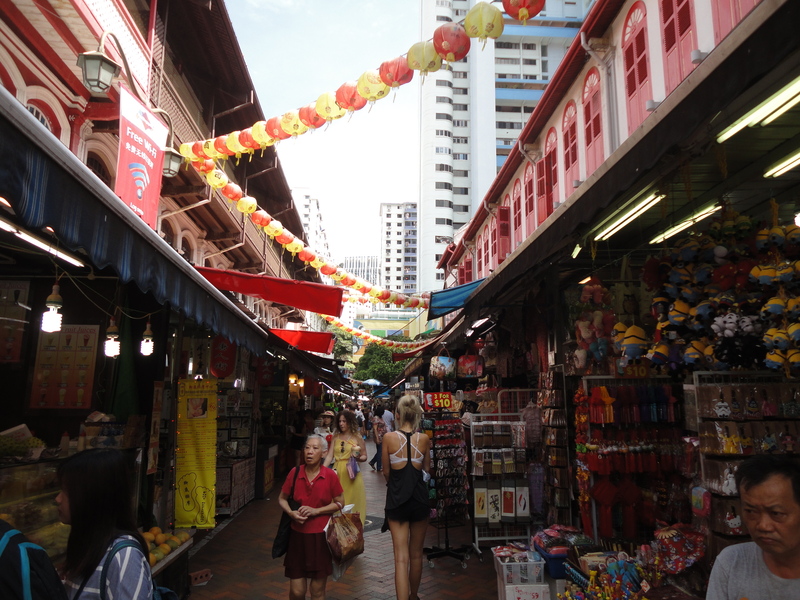 As befitting its multiethnic society, Singapore has neighborhoods like Little India, Kampong Glam (sometimes called Muslim Quarter), and Chinatown. Little India, where I stayed in, was very busy on the weekend with lots of Indians, both local Singaporeans and migrant workers, as well as tourists. The main attribute is that there are tons of Indian restaurants and just thinking about it now makes me want to go back. Kampong Glam is a former Arab and Malay neighborhood that has been extensively restored and fixed up for tourists with cafes, shops and some nice murals. 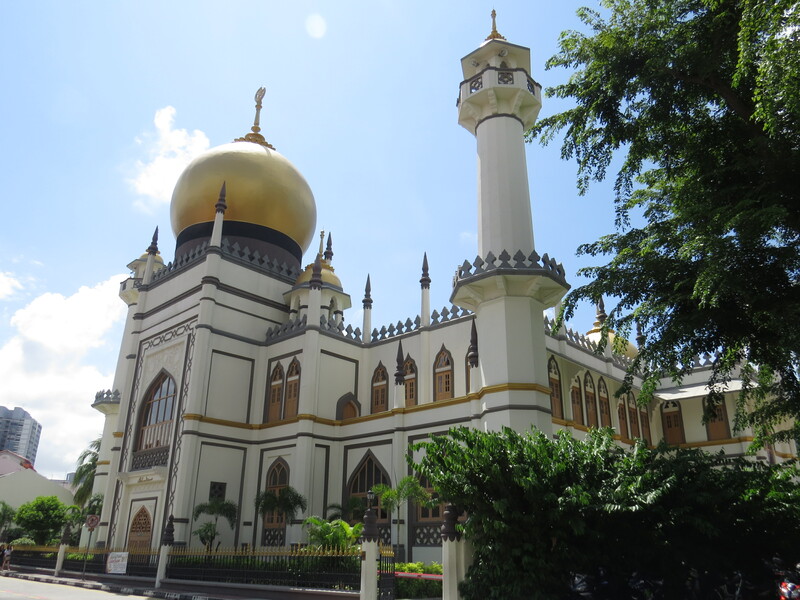 The neighborhood still has a lot of Muslims and is home to Singapore’s largest mosque, Masjid Sultan, a handsome building built in 1928. One can walk inside the compound and peer at the main hall as well as walk around. Chinatown did not seem that interesting to me (there is the Buddha Tooth Relic temple but I didn’t bother to go inside), but there are some older shophouses and decent open-air shopping streets. 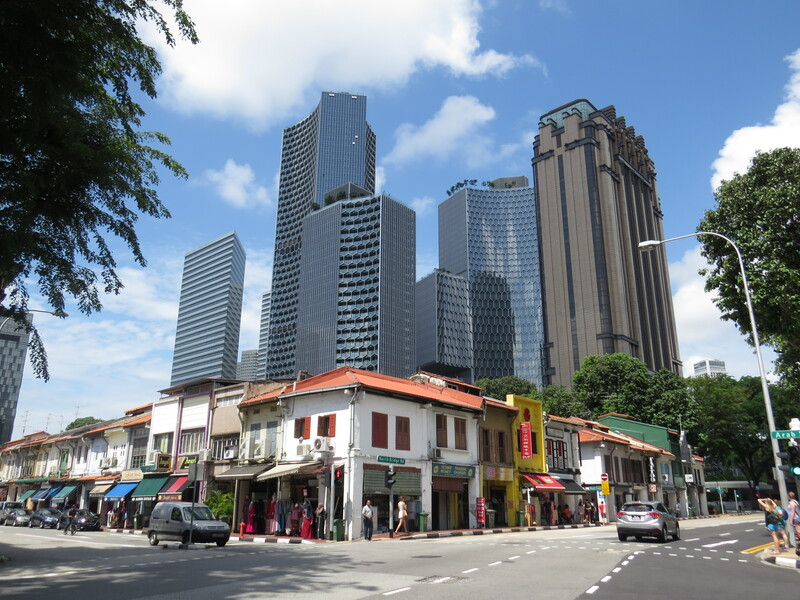 Singapore is one of Asia’s great success stories. Tiny and lacking natural resources, the city state managed to raise itself from an impoverished reject (it was briefly part of Malaysia before being kicked out) in 1965 to become one of the world’s richest nations and major financial hubs. Singapore manages to punch well above its weight in business, trade, tech, tourism, and regional politics. Singapore is also unique in that it was ruled by a legendary strongman who was very respected, feared and admired – the late Lee Kuan Yew, who passed away in 2015. Much of Singapore’s economic success and development has been credited to his leadership. But Lee also contributed to Singapore’s reputation as a nanny state due to severe laws that limit freedom of expression, dissent, and other more banal things (like chewing gum for instance). While supposedly a democracy, Singapore has been ruled by only one party, Lee’s PAP, which always wins elections in an overwhelming manner (PAP currently hold 83 out of 89 seats). 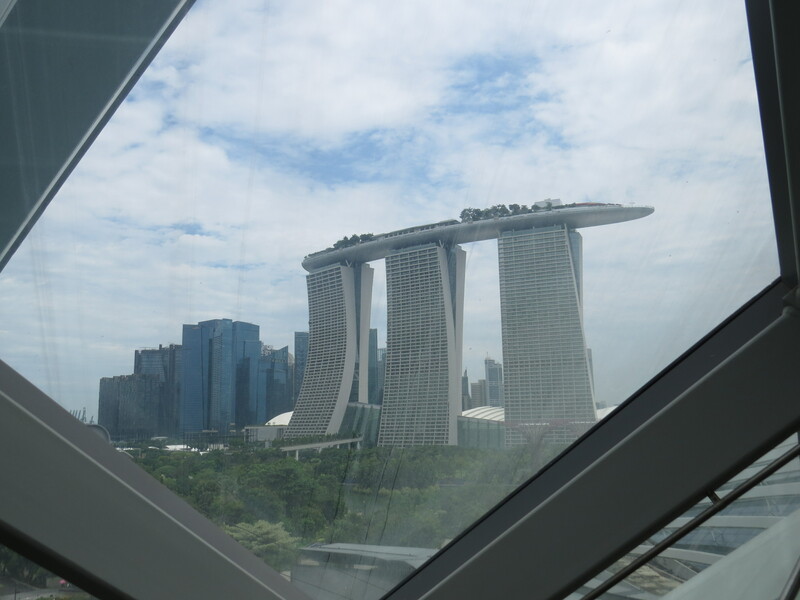 I visited Singapore last year for the first time, and I was prepared to be bored, but instead I was quite impressed by the buildings and attractions, and how modern the country was in general. There was a lot of open space and greenery, and places did not feel crowded, despite being a small country with over 5 million. While the population is about 75% ethnic Chinese, Indians, Malays and expats make up the other 25%, and this was apparent everywhere in terms of the people and the food. My birthplace Hong Kong seems to regard Singapore as its main competitor, due to both being tiny city states that are thriving financial hubs and former British colonies. But from what I saw, Hong Kong is so far behind that there is almost no contest. As mentioned, Singapore felt so spacious and uncongested, in comparison to Hong Kong and its cramped buildings and sidewalks and very crowded spaces. Also, Hong Kong has nothing like the Gardens by the Bay or the Marina Bay Sands hotel, which even though they often appear in countless photos , are impressive to see in person. I saw a lot of towers with rooftop gardens or plants strewn across the building itself, which besides supposedly being good for the environment also looks kind of cool. I’m sure Hong Kong might have similar buildings, but I haven’t seen any yet. However, there were a few issues. As spacious and clean as the streets and buildings in Singapore were, it often felt a bit too orderly. While not boring, I did feel like everything was a bit too perfect and artificial. 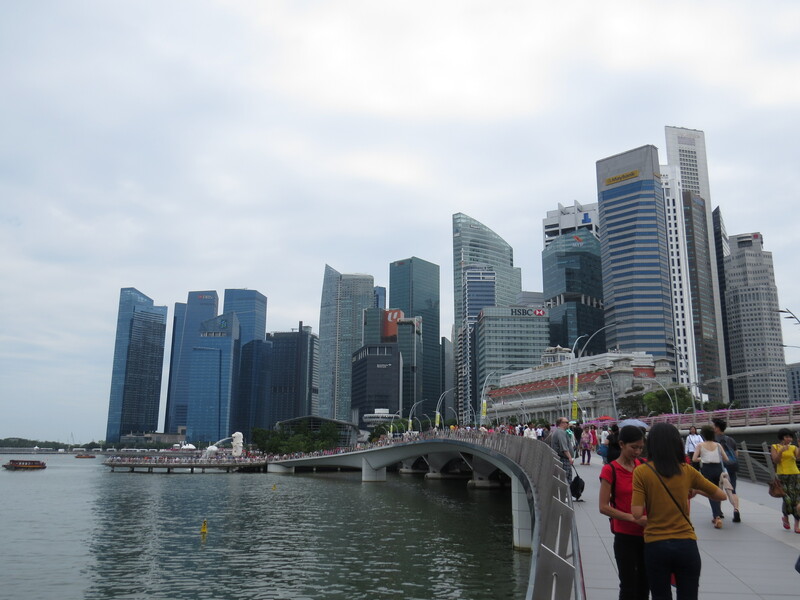 In fact, parts of the city were a bit sparse like the riverside where the Asian Civilizations Museum was. I also found the subway system to be kind of slow. For instance, I took the subway from my hotel in Little India to the airport, thinking it would take 1 hour, but in reality it took almost 1 hour and a half, which resulted in me having to rush to check in and scramble to my gate (I made my flight). Apparently, when going to Changi airport by subway, you need to get off at Tanah Merah station and wait for another train to go the final two stops, which took about 15 minutes to come. I hadn’t realized it would take so long because I thought that as a train going to the airport, it would be more frequent. I also took the subway to visit a friend who worked there as an expat. Foolishly, I thought 45 minutes would be enough since I only had go less than 10 stations, albeit transferring twice, but instead it took over an hour. 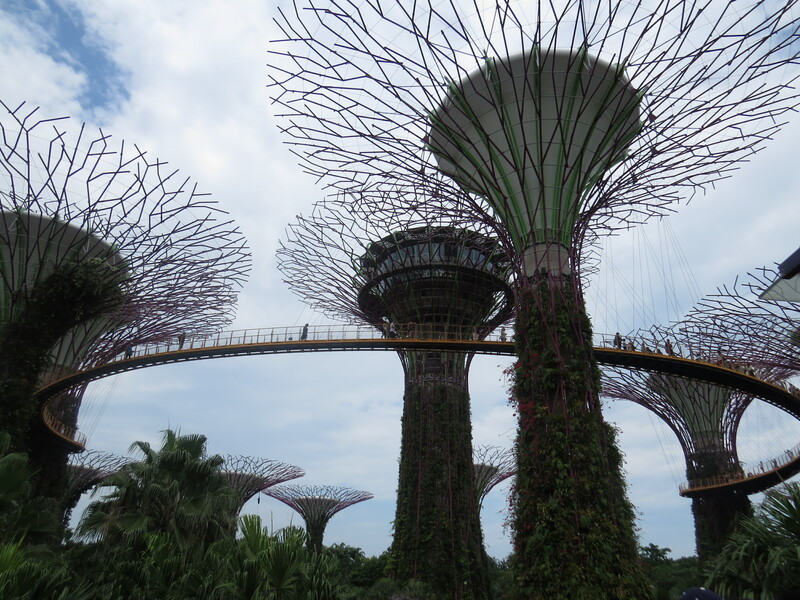 A very surprising issue is the dual pricing at attractions like the Gardens at the Bay, which means Singaporeans pay much less than tourists. While this exists across Southeast Asia, I was surprised at seeing this in Singapore since it is a very wealthy country (if anything tourists should be paying less than locals, but I know locals have contributed to these attractions through tax). Still, dual pricing doesn’t exist across Europe, Japan or North America. 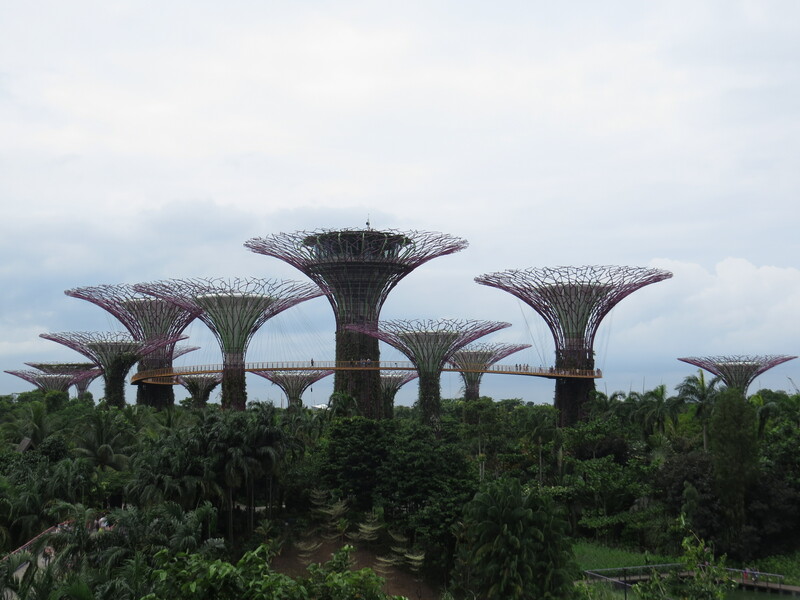 It may not be a place to stay for too long or go wild and let loose (go to Thailand for that) but Singapore is a very interesting small country that is an oasis of calm and order in Southeast Asia.